Who dares to give space on stage? Our international Lab Sweden will follow to kickstart our EU-project that we are managing together with Candoco Dance Company amongst others. As part of the lab we will host a day of inspiration called Who dares to give space on stage? at Bohusläns Museum 1 September. 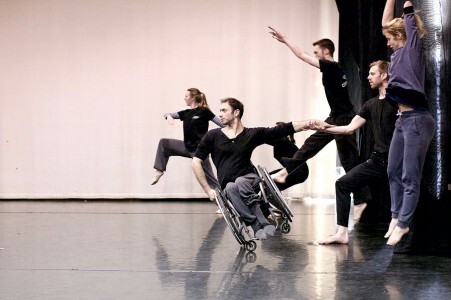 How can we work together to make the art and practice of dance and the stages and arenas for dance accessible and available for more people? And how do we become brave enough to develop dance as an art form together? The day is about developing the art of dance and highlight both the challenges and possibilities, about equal opportunities and equal value. Welcome to an international forum of discussing these questions on an European level! In need of a sight- or sign language interpreter, contact us before 12 August.